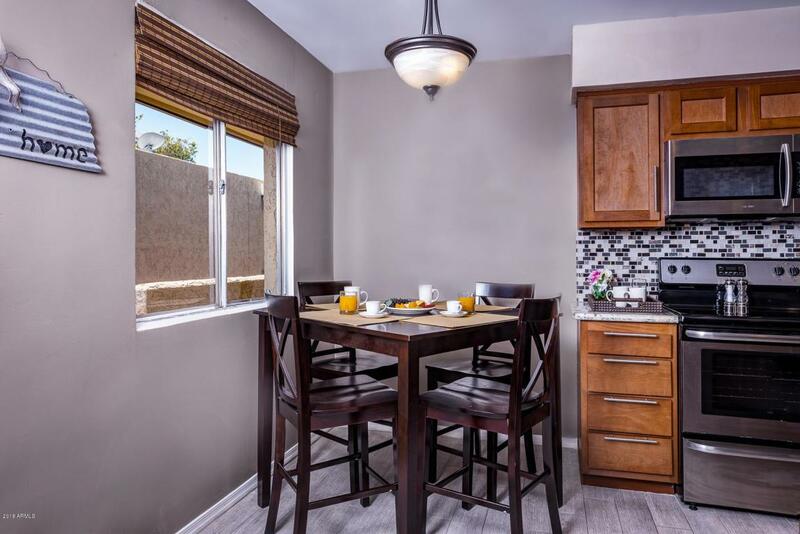 Beautifully remodeled furnished condo with lots of extras. 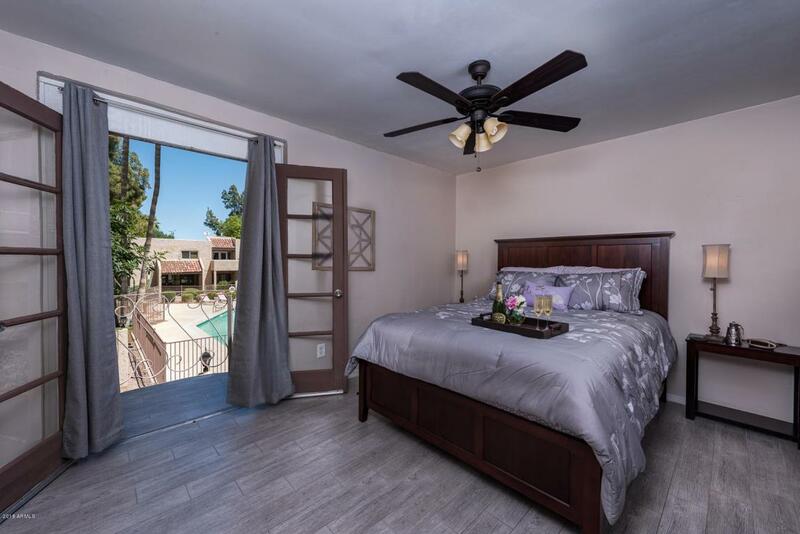 Gorgous views of the sparkling community pool from both the living room, and the french doors in the bedroom. This is the ONLY unit that features TWO inviting balconies! 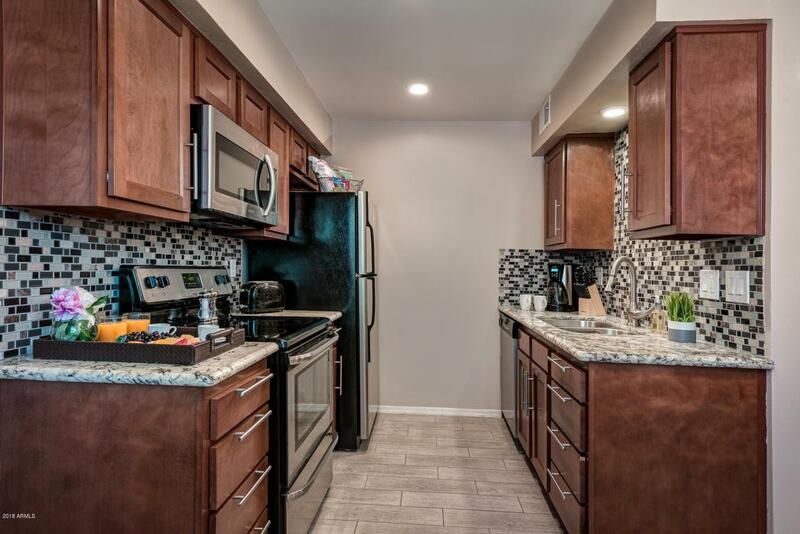 Wonderful remodeled kitchen with granite counters, tiled back splash, and updated cabinets. Floors have been redone in woodgrain tile, for a beautiful finish. Fresh paint and re-textured walls. Bathroom has been redone with new tile and mosaic glass in the shower. Ideally located in Scottsdale near all the staples-parks, canal, Giants Spring Training facility, and all that Old Town has to offer. Electrical has been updated in the kitchen, living area, and bedroom. 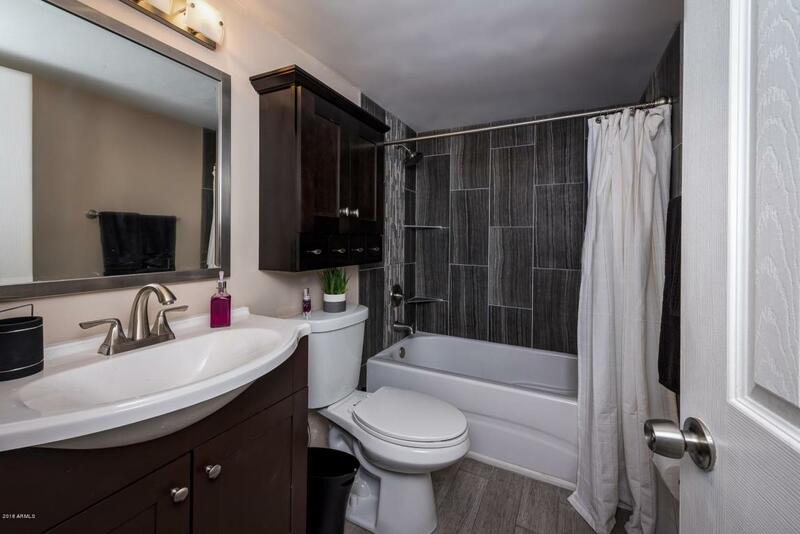 Don't miss out on this remodeled gem! Use for a 2nd home, income property, or your weekend getaway!One Bedroom, but also features a pull out couch for additional guests.